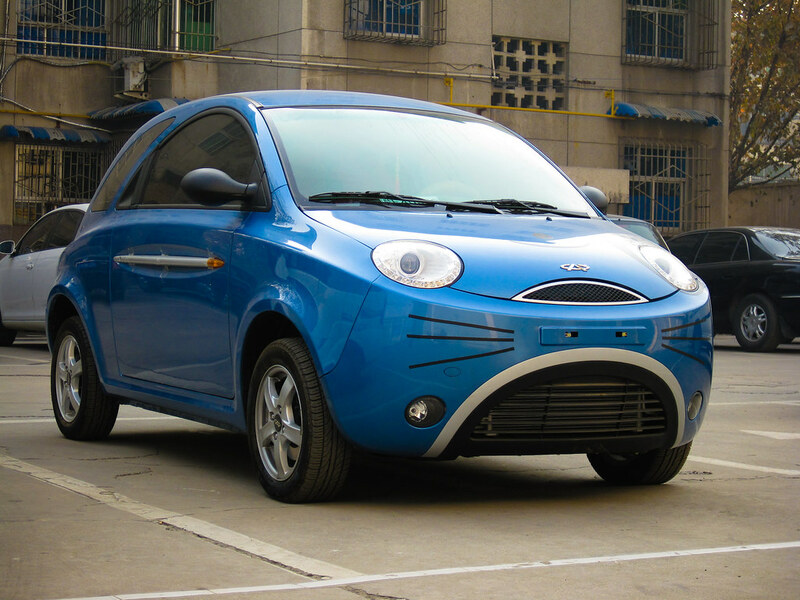 Chinese Cars – The Chery QQ. I must say, this one is quite a well-penned car though! It’s a 2-seater, 2-door configuration and props for originality. 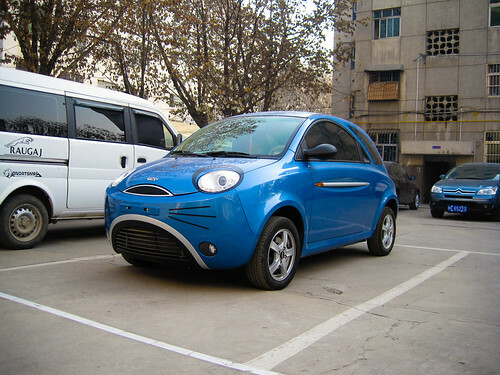 Most Chinese cars look like bits of other western cars copied and pasted together. For example, the photo above, check out the van in the background with the BMW-esque front grille. Although it does have a resemblance to Japan’s favourite robot cat; Doraemon. 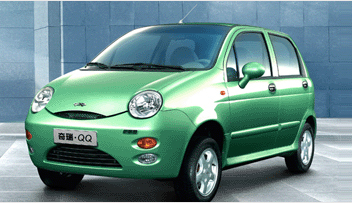 For your consideration, left: the Chery QQ. 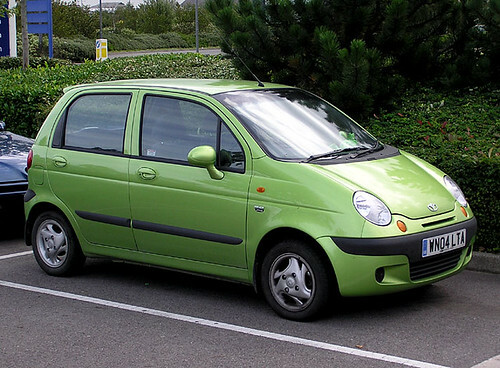 Right: The Daewoo Matiz / Chevrolet Spark. 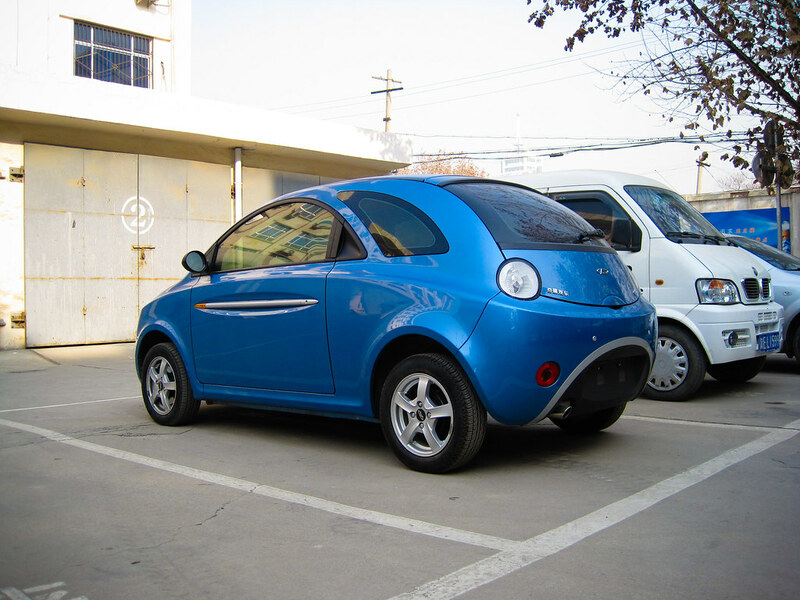 The QQ became the center of an industrial copyright and intellectual rights controversy, as General Motors claimed the car was a copy to the Daewoo Matiz (which is marketed outside South Korea as the Chevrolet Spark). GM executives demonstrated the extent of the design duplication, noting for example that the doors of the QQ and those of the Spark are interchangeable  without modification. Though the Chery QQ and the Chevrolet Spark are similar cars, their safety ratings differ from each other. A Euro NCAP front offset crash test showed that the driver’s injuries in the QQ are worse than those sustained in the Spark. Upon impact, the QQ driver will most likely suffer severe (possibly fatal) trauma in the head, neck and chest areas, while the Spark driver will at most receive a moderate head injury. Quite an interesting read; here. so i came to “return the favor”.I’m trying to find things to improve my website!I suppose its ok to use some of your ideas! !